We previously wrote about the 5 kinds of warning lights on your car dashboard and what they mean. Those flashy warning lights will only come on during driving situations indicating a problem or issue with your car that you should take note of. So we’re looking at another 5 more kinds of warning lights on your car dashboard to help you out in case of an emergency. What it means: Check whether your car’s battery charge is running low. It may also indicate a problem with your car’s alternator. What should you do: Your car’s battery runs a lot of systems in your car, so it’s ideal to switch off as many things that consume electricity; including the air cond, radio and lights. Try to keep the car moving to a safe spot before stopping to fix the problem, in case your car cannot restart. Remember to check if your battery or alternator needs replacing. What causes it to come on: Low battery in your car, perhaps caused by continuous usage. An average car battery has a lifespan of 3-5 years with normal driving conditions. There is also a possibility that you have a problem with your alternator, which generates power from the battery to start your car and keep it running. 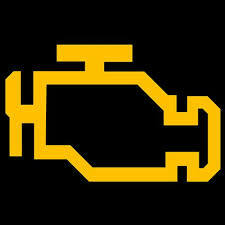 What it means: When this warning light comes on, it means that there is an issue with your engine. What should you do: The check engine warning light could indicate a lot of possible issues. The best thing to do in this case is to bring your car to a mechanic to have it checked out. What causes it to come on: There is a whole variety of problems that could cause the check engine light to come on. A loose petrol filler cap, a minor electrical issue, or even a damaged catalytic converter can be causes for the light to turn on. You have to bring your car in to a mechanic since it’s difficult to find out what the exact issue is. 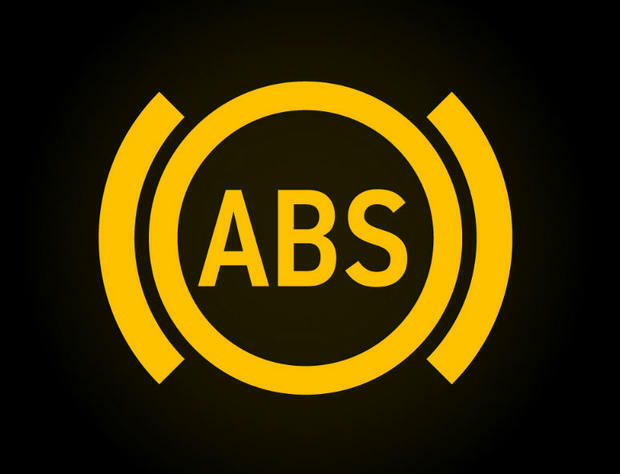 What it means: When this warning light comes on, it may indicate that there is something wrong with your car’s Anti-Lock Braking System (ABS). What should you do: If this warning light comes on while you are driving, you should immediately try to stop if possible. Your brakes will still be in working order, but the ABS might not engage. This is dangerous if you need to make an emergency stop. The best thing to do is to get a mechanic to look at it immediately. What causes it to come on: The ABS indicator could signal a number of issues, including a faulty emergency brake, a loss in brake hydraulic pressure, or a damaged speed sensor, so it is best to have a professional mechanic check it out. What it means: If this light flashes on and off, it means that your car's traction control system is engaged and in action. If it stays on however, it could indicate a problem with the system. What should you do: Do drive carefully when you see this light appear, as it could mean that you are losing traction on a road with limited grip. If the light remains on, bring it to a workshop to have it checked out as soon as possible. What causes it to come on: A flashing traction control light could simply mean the system is working to help you gain traction on slippery and tricky road surfaces. But if it remains on, then it means that your traction control system has failed, and you should get it fixed, and drive carefully in the meantime. So save yourself the trouble and get to know the warning lights and their functions. It may help you out in a sticky situation. Did you enjoy this post? Leave a comment below if you did!